about this book: Sam is employed by the Department of Conservation (DOC) with his two mates helping out. Their task is to clear out as many feral pigs as they can in the Tongariro National Park, which is located in the North Island of New Zealand. There are three major volcanoes within this park, so the culling of the pigs has to be done with great care as there are an abundant amount of thermal pools, mud pools, and of course, volcanoes. In the high country of New Zealand, the weather can be very fickle, going from warm to cold within minutes. The three friends draw even closer as they get caught up in a weather pattern with a difference. Mist, sulphur, and rain envelop them and propel them back to the start of the New Zealand Wars of 1863. Three modern blokes, with all of the paraphernalia of the 21st century, running around in the past, lost, confused and trying to stay out of harm's way, once they realise where they are. Will they get home? Will they change history? 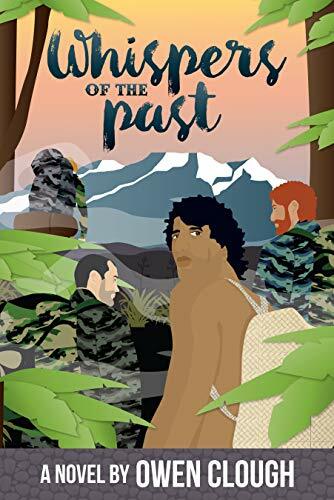 Experience a former era of New Zealand in an exciting story of the past and the present.